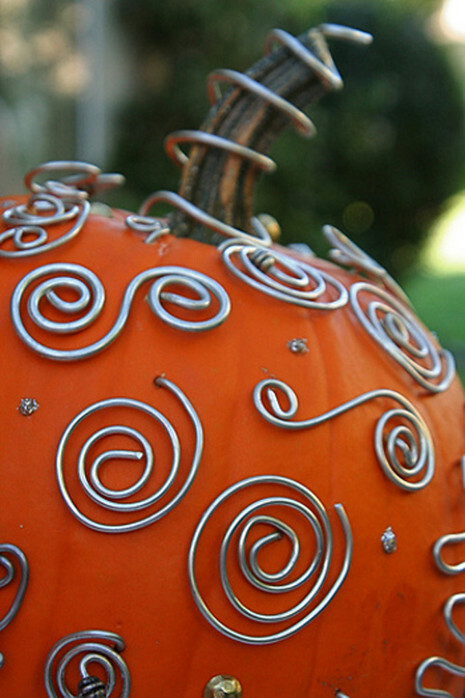 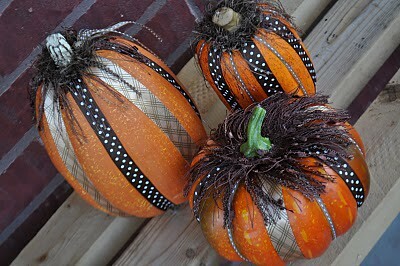 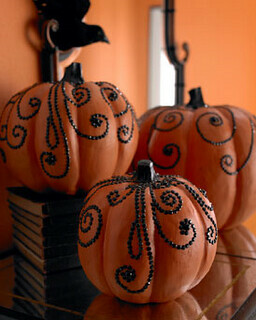 Later this month, I will be throwing a pumpkin decorating party! 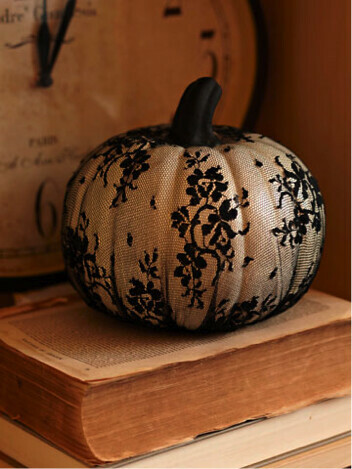 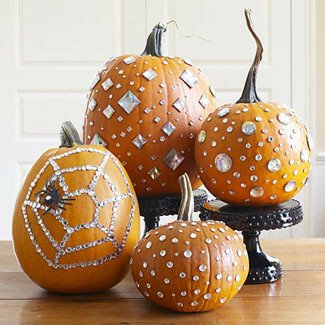 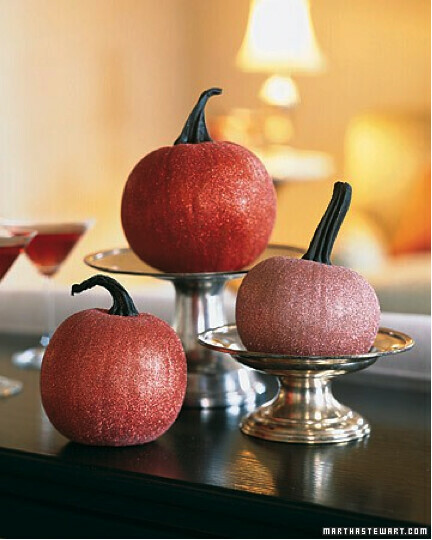 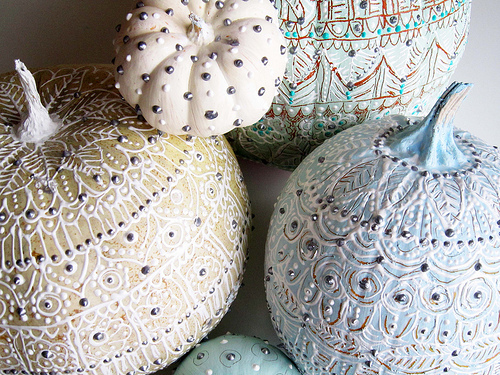 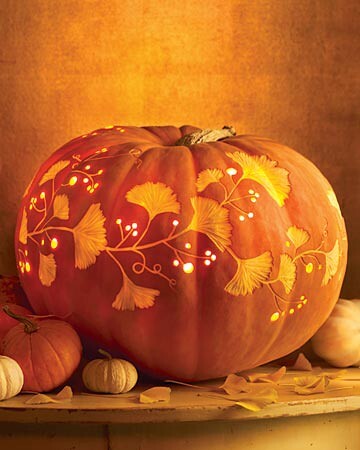 Emphasis on “decorating.” Instead of intensive carving, I am inviting my guests to embellish their pumpkins using unlikely materials such as rhinestones, spray paint and even lace. 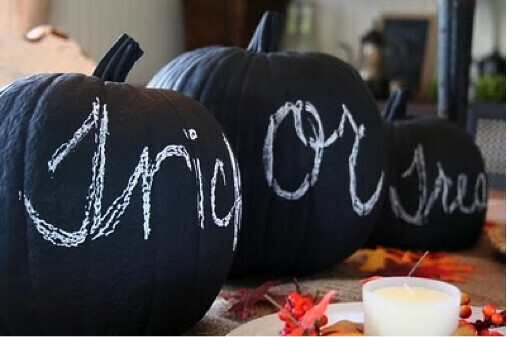 I’m planning on picking up plenty of craft supplies for guests to get creative with during the party. 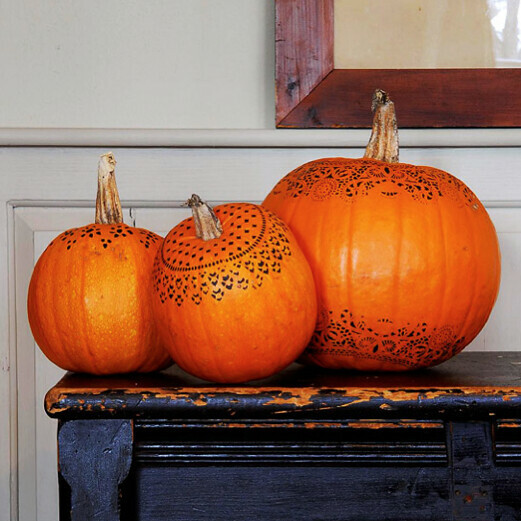 Below are 10 fresh takes on traditional pumpkin décor that will be inspiring my craft supply shopping list… Enjoy!